Born in 1975. Part of the duo Daft Punk, producer and writer. Son of Daniel Bangalter AKA Daniel Vangarde, who composed D.I.S.C.O. for Ottawan. After the experience of Darlin' and before the Daft Punk phenomena, Thomas Bangalter released the two famous EP's 'Trax On Da Rocks', a composite of various samples set to funky House and Techno beats. He released 'Music Sounds Better With You' on his own label Roulé as part of Stardust as well as his remix for "Rock Shock" by Roy Davis Jr.. In 1998, his track 'Gym Tonic' was the center of a 'scandal' as Bob Sinclar included it on his album "Paradise" without the consent of Bangalter. This resulted in a law suit intended by guru fitness and actress Jane Fonda whose voice was illegally sampled on the record. A very 'anonymous' person, Bangalter nontheless gave a few interviews in and out of the Daft Punk phenomena. Although a lot of people credit him for the invention of 'filtered house', he cited Carl Craig AKA Paperclip People ("Throw") and Kenny "Dope" Gonzalez as precursors of the style. It must also be noted that outside Daft Punk, Bangalter stopped his DJing career due to ear problems. Bangalter is married to French actress Elodie Bouchez with whom he has two sons: Tara-Jay (born 2002) and Roxan (born 2008). Wish he could do some Roulé stuff again..
What amazes me is that Bangalter was only born in 1975. When Daft Punk blew up in the mid-90's, he was only 20 years old, yet he was producing music that showed maturity far greater than his age. Incredible! The best of the best. Can't wait to hear the Tron soundtrack and future melodies. 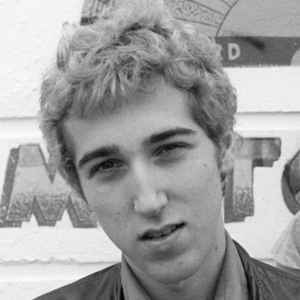 Thomas Bangalter is one of the best contempary house producers. He is one half of Daft Punk and also produces tracks unders numerous alias'. He was partly responsible for bringing us 1998's Summer hit and exqusite soundz of Stardust 'Music Sounds Better with You'. Daft Punks debut album in 1997 'Homework' sold 2 million copies worldwide. Their eagily anticipated second album released on 12th March 2001 has for me....broke all boudaries of house music. Unique, fresh and Pumpin is Bangalter.